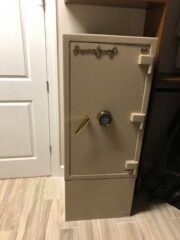 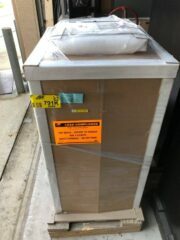 This safe was delivered to our shop to be installed at a customers house. 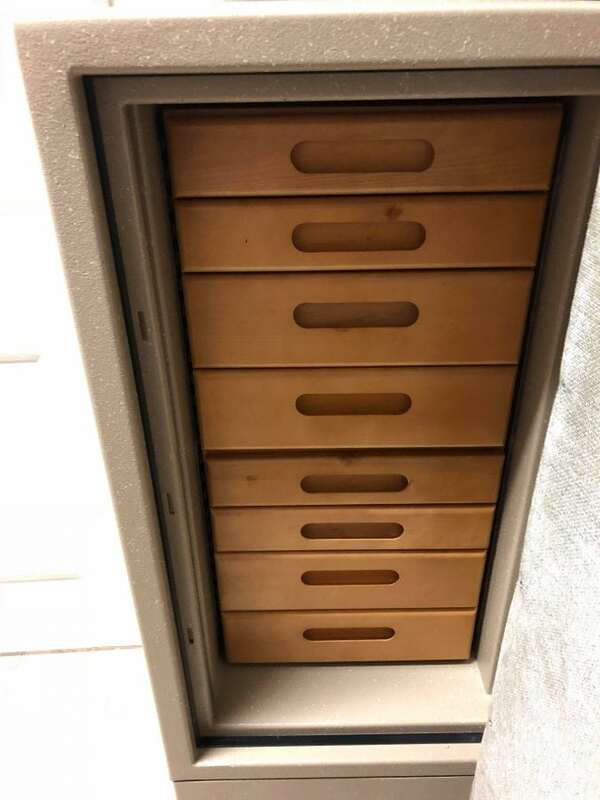 It was ordered from Amsec by the customer and shipped to us because we are an authorized dealer and we are well known for moving safes without damage to the safe or to someones property. 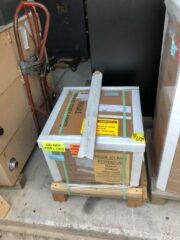 We load it onto our trailer just like any other safe and delivery and we load the stand in our van and secure both. 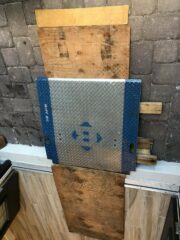 When we arrive onsite we look at where the customer wants it in place and we start to get the safe unloaded and the stand bolted in place. Then, we adjust our elevating table to meet with the end of the trailer and roll the safe on a roller from the pallet on the trailer to the elevating table. 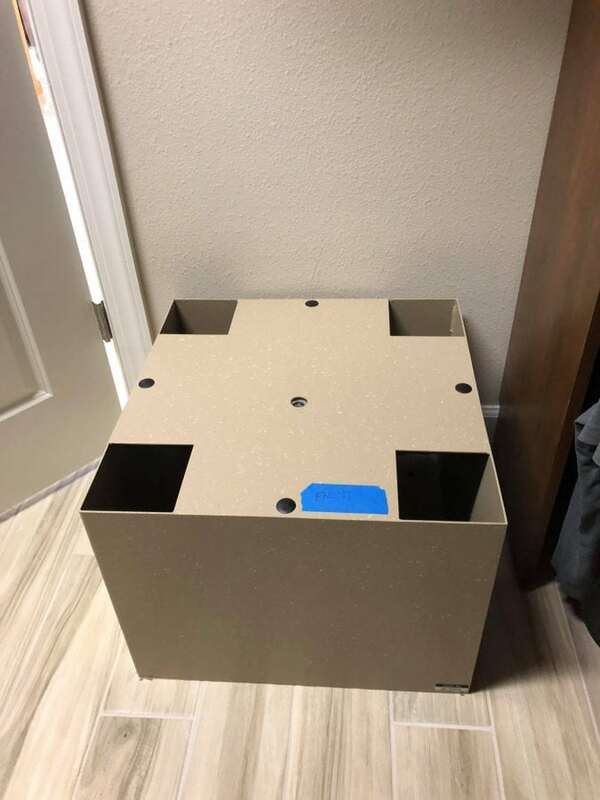 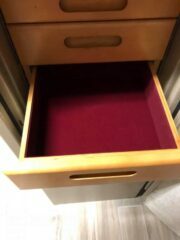 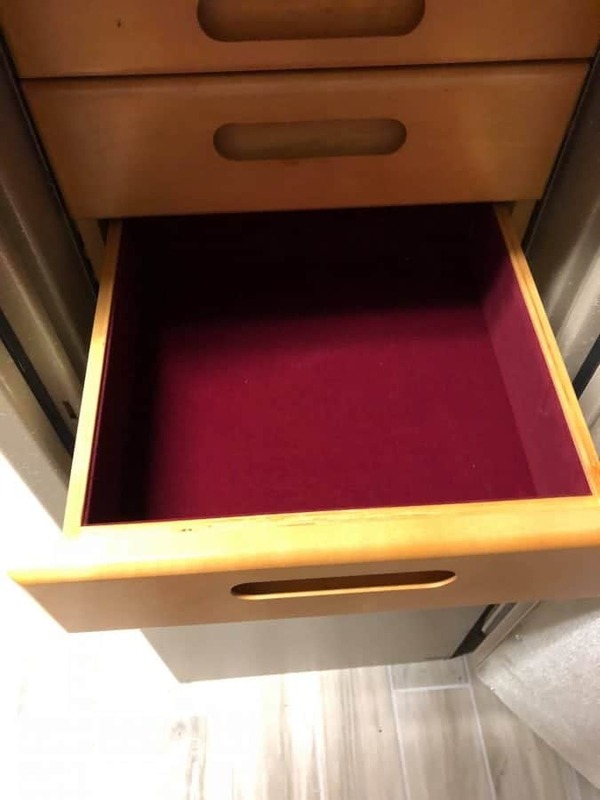 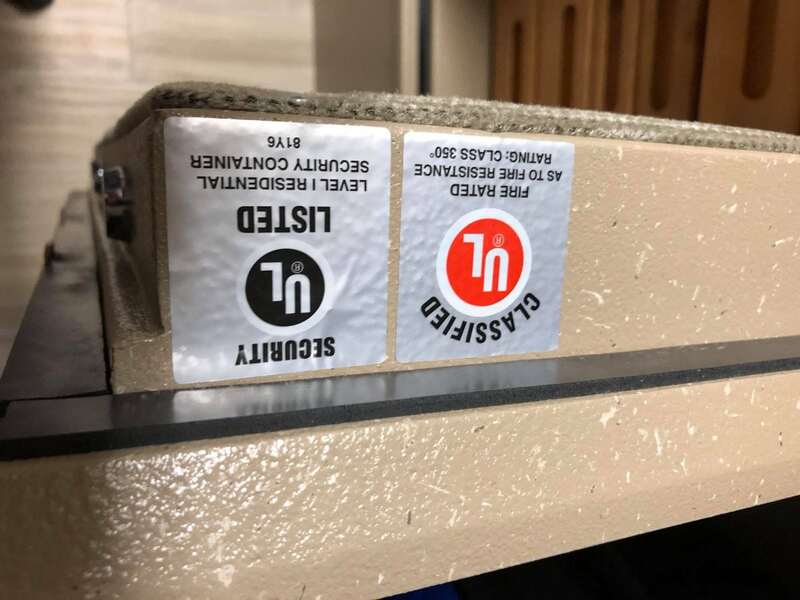 I heard a scratching noise and indicated that we needed another roller but it was just the elevating table getting scratched which happens all the time and the safe was unscathed. 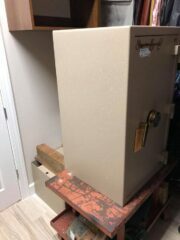 We roll the safe inside on our elevating table and get it in front of the stand. This is where we had an issue because the height of the stand was lower than the minimum height of our elevating table. 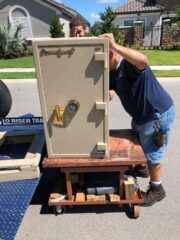 So we drop it as low as possible and push the safe onto boards on the stand. 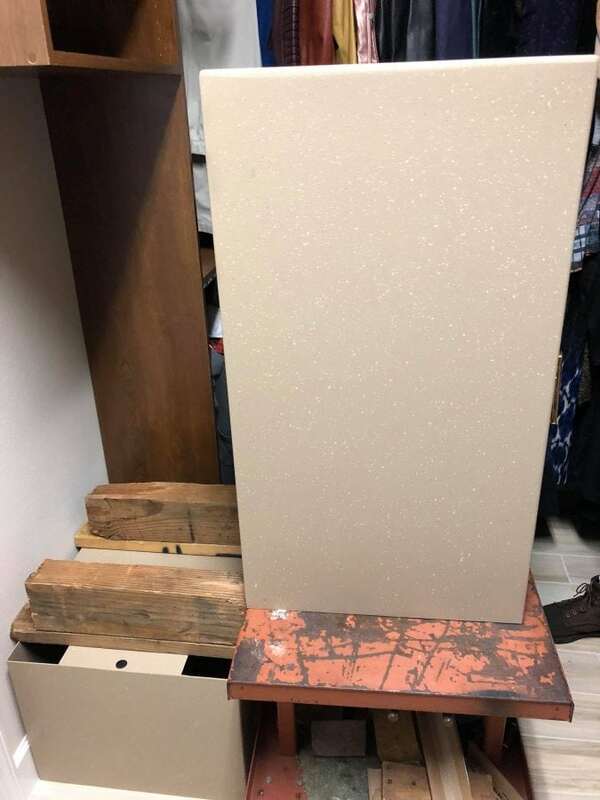 we then systematically tip the safe back and forth and remove big boards and replacing them with smaller boards to slowly get the safe closer to the stand. 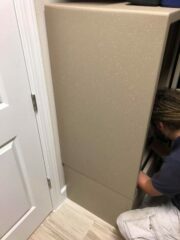 When we finally get it on the stand, we bolt it in place then reattach the jewelry cabinet we had to take out originally to bolt it to the stand. 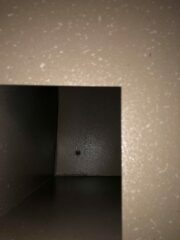 After that we have a finished product that looks beautiful and no damage was done at all. 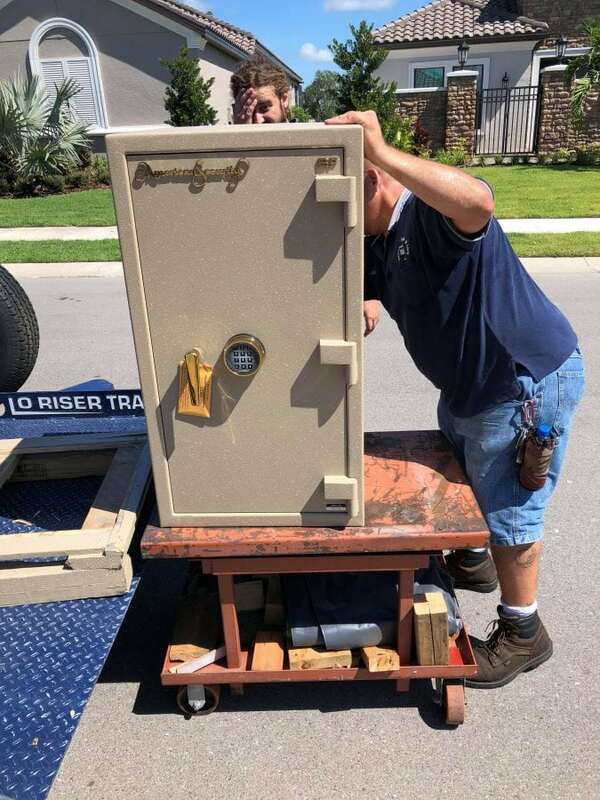 No matter the job big or small we will find the safest way to deliver your safe.